Product prices and availability are accurate as of 2019-04-18 22:43:16 UTC and are subject to change. Any price and availability information displayed on http://www.amazon.com/ at the time of purchase will apply to the purchase of this product. 5-Digit with 100,000 Combination -- Upgraded 5-digit combination with 100,000 possible results. 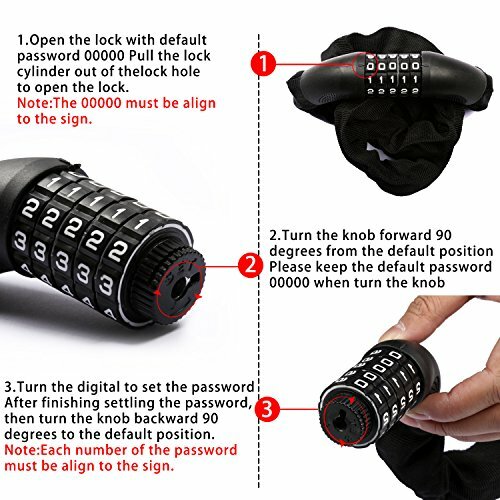 It's very convenient and high security to use it without keys. 3.2ft Long Enough for Locking 2 Bikes -- This bike chain is 3.2ft. 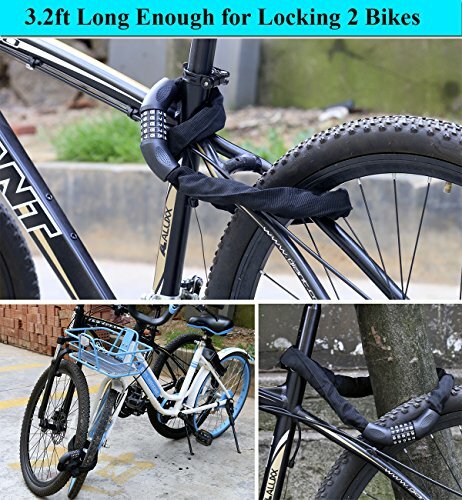 So it is enough to lock two bikes together. Lock head diameters:1.5'', Fabric length:32.68'', Weight:1.45lb. Sturdy Manganese Steel Chain & PE Cloth Cover-- It was link by several manganese steel chain for cut resistance. High density metal resisting shear anti rest. Each steel length:1.66''. Steel width: 0.23''. 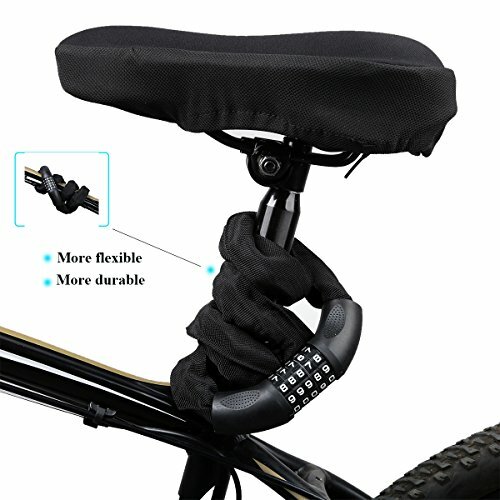 PE cloth cover dust proof won't scratched your bike. 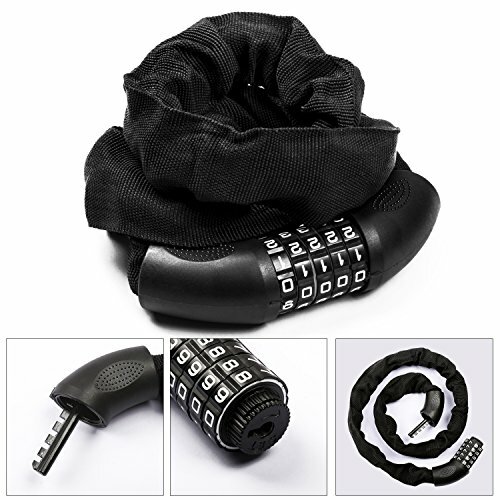 Easy Set Password & Installation -- 1.The original code is "00000" 2.Withdrawing the lock gear. 3. Rotating the knob 90 degree to the right. 4. Setting the password you want and then rotating the knob to its original location that should be align to the sign. Lifetime Quality Care -- SOKLIT awards 30 days money free back, 18 months warranty and the lifetime dedicated advisory to assure your long-term enjoyment.